Rakugo is a one-person comedy show. It is a classical form of storytelling and it is still popular. The storyteller is called Rakugoka. Rakugoka wears a kimono and sits on a cushion on stage. He plays different people in conversation. To play each person skillfully, he changes his voice and turns his head right and left. He only uses a towel and a folding fan, but they can be used different ways. For example, the towel is used as a soup bowl and the folding fan is used as chopsticks. 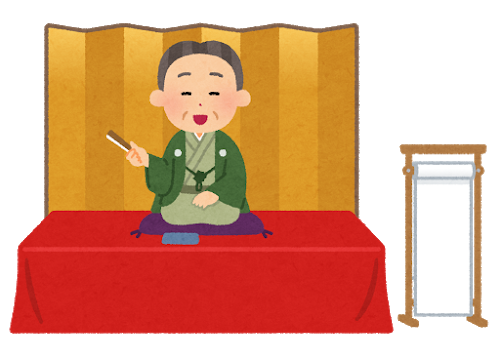 There are special theaters called yose and you can enjoy rakugo throughout the year.